Home Automation has become one of the fastest rising trends in the last couple years. With the large integration of mobile devices in consumers’ homes, it’s becoming an essential feature for new products to include some form of remote functionality. From controlling your home theatre system, all the way to operating an entire house from another part of the world – anything is becoming possible. This is the second part to Home Networking Trends, covering how to get your home set up and locked down all from the touch of a smart phone. Where did that music come from? This is a phrase I hear quite regularly. My home theatre system is a tightly knit weave of control with an A/V receiver being the centre of it all. It connects to the router via Ethernet and has a companion app for iOS and Android that provides input selection, volume and power options. My PC is connected to the receiver over optical, and iTunes is able to be controlled through the Apple Remote app. To give you an idea of how an event would go: I come home, open the Remote app, then choose a song and launch the Yamaha app. This allows me to power on the receiver and select the input my PC is set to. Once this is completed I’m able to adjust the volume accordingly and return to the Remote app when it’s time to change the song – all before I take my shoes off at the front door. By taking advantage of Airplay I’m also able to select a song directly from a mobile device or even an internet radio app and stream it to the receiver. This not only works for my devices, but guests who are connected to the local network as well. It creates a seamless way to have variety throughout the evening by mixing it up and allowing everyone with an iOS device to be in the spotlight. This process also works well with my lighting arrangement. I have a full room set up with Philips Hue that is able to be controlled by mobile devices. Since my wireless signal reaches out to the driveway, I’m capable of connecting to the network when I arrive at the house and turn on my lights as I walk up to the door. There are also a few 3rd party apps that give additional functionality such as an auto colour changing mode with various tempo speeds, strobe and candlelight modes, and more. It assists in creating that perfect atmosphere for any occasion with diverse brightness levels and colour mixes for each light bulb. One major benefit to having customized LED’s are for those who live in darker areas such as basements. It helps with issues such as Seasonal Affective Disorder by allowing you to recreate natural sunlight with timers and fading presets for alarms as you wake up or as you go to bed. Put your home on lockdown. In the last year there have been plenty of new products unveiled and released to help secure your home. One of these products is the August Smart Lock. This locking system is installed in any standard dead-bolt mechanism and uses Bluetooth to pair with your device. By connecting over a short wave wireless technology, you gain the benefit of having the door unlock once you enter its range. 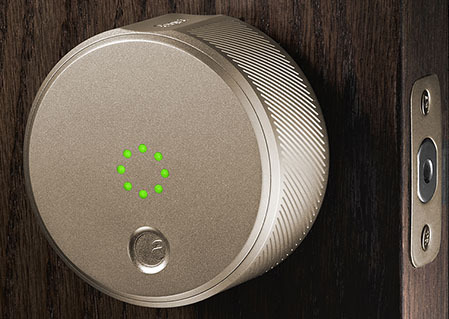 Another great feature is the ability to send your Smart Lock’s code to a friend using the companion app which allows them to enter your house – with no key needed. There are plenty of security options including: time frame, number of uses and more. This product is set to be released in the spring of 2014 at $199. 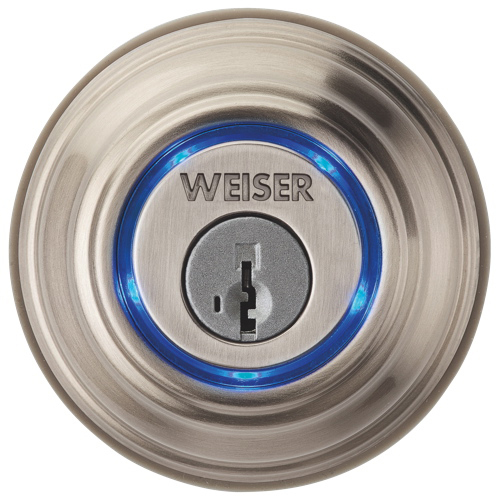 Another product that functions almost identical to this is the Weiser Kevo Lock. This product takes more resemblance to a conventional dead-bolt lock, but provides a blue glow around the outer rim that you can simply touch it and the door will lock or unlock. The Kevo Lock was released back in the fall of 2013 and is available now at $249. Both of these products offer an emergency backup system that uses a key in the event your device runs out of battery. They also run on 4 AA batteries and are rated at a year of usage before needing to be replaced. When the batteries get low the owner will be notified via push notifications. Belkin has also entered the home automation category with their WeMo products. They allow any device to be connected through them, and then controlled with a smart phone using the free Belkin app. This enables the user to turn on and off electronics and be notified of their status by alerts. You can set schedules and rules as well. This is a very inexpensive way to get your home set up with entry-level home automation functionality. A newer company that has made a large impact in the market within the last couple years is Nest Labs. 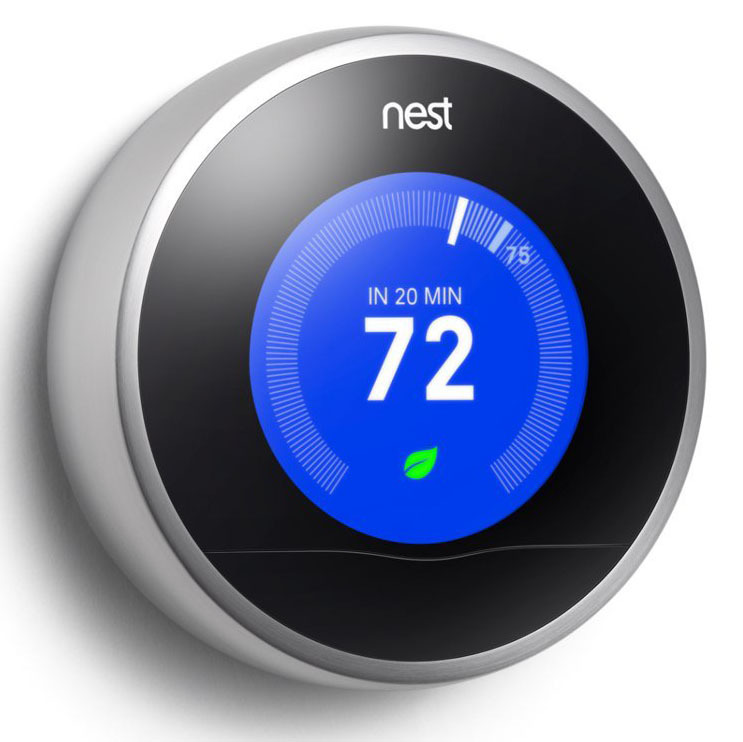 They began in 2010, and released their flagship product – the Nest Thermostat – in 2011. This unit connects to virtually every standardized system and grants access to controlling the temperature in your home. One of the major features is automated control, where the thermostat will learn your repeated patterns and apply them without assistance. Users have reported noticeable savings on their energy bills after using Nest for only a couple short months. 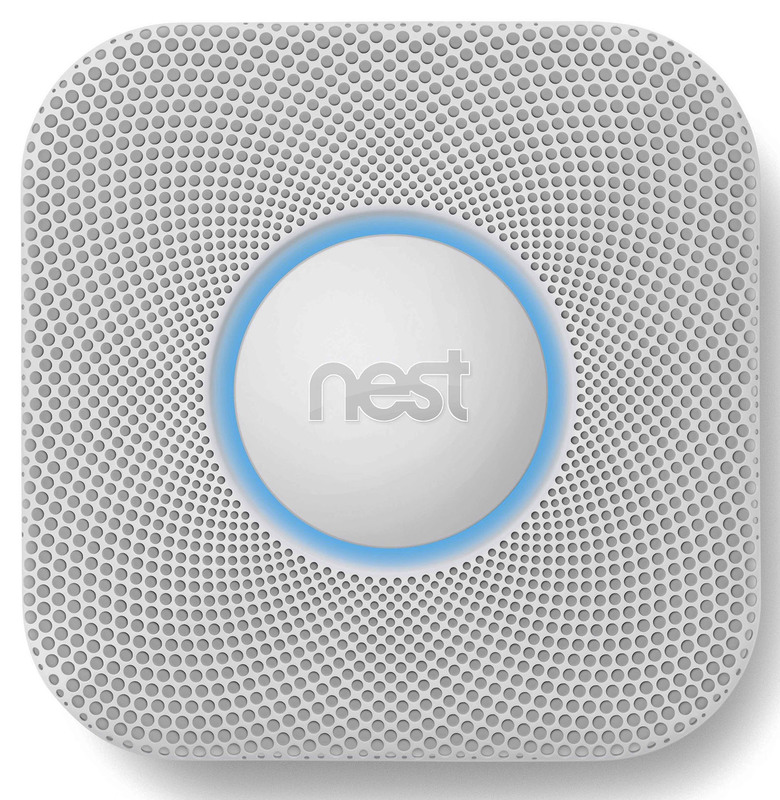 In October of 2013, Nest unveiled their newest addition to the product line with the Nest Protect – a smoke and carbon monoxide detector. At $249 and $129 respectively, they’re both great options to replace older technology with more efficient, functional products. Even your car gets an upgrade. The automobile industry was enhanced last summer when Automatic released the Link accessory. This device secures to the onboard computer on almost every gasoline car manufactured since 1996. It connects to an iPhone or Android over Bluetooth 4.0 and displays vital information about your car to help keep your engine healthy including detailed reports, push notifications and engine light code information. The Link also provides a wealth of knowledge about your driving habits including braking patterns, gas mileage, and speeding. It uses location services on the device to gather data about trip distances, fuel used, and time spent. Automatic is working hard to bring the Link to other countries, but as of today they still only support the US. I’ve been told that they have unconfirmed reports that most functionality will work in other countries as long as the car was manufactured in the US. I will definitely be buying this product once it reaches final release for Canada. Reassurance is now only one tap away. Take a look at Part 1 – learning to control your entire home.